Forivor is a British brand creating organic, illustrated children’s bedding and nightwear. Forivor is a British brand creating award-winning organic, illustrated children’s bedding and nightwear. This luxuriously soft bedding that inspires a passion for nature and conservation and feed (children’s and adults) imaginations. 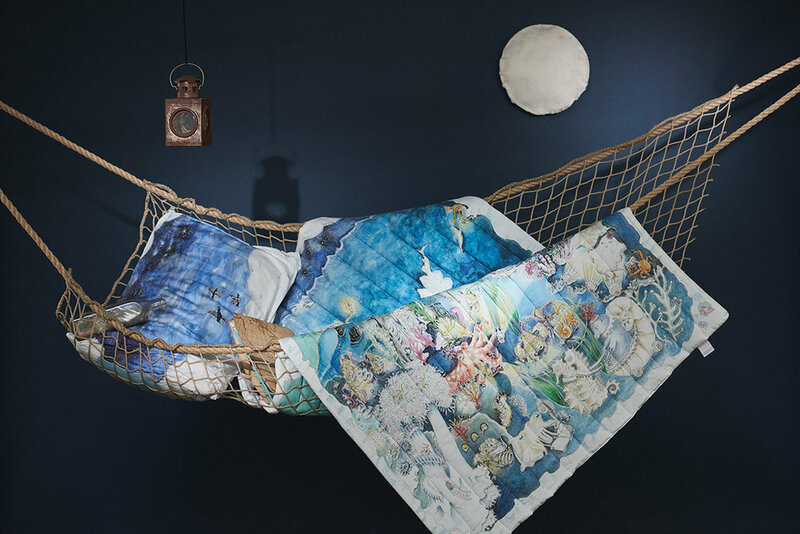 The reversible bedding takes you on a journey from daytime to nighttime, where a calm woodland or underwater scene on one side of your bedding transforms into a secret world on the other; where creatures inhabit a magical world of wonder to get lost in. Forivor is a British brand creating award-winning organic, illustrated children’s bedding and nightwear. Co-founders Rebecca Attwood and Alice Ross set out to create luxuriously soft bedding that could inspire a passion for nature and conservation and feed (children’s and adults) imaginations. The reversible bedding takes you on a journey from daytime to nighttime, where a calm woodland or underwater scene on one side of your bedding transforms into a secret world on the other; where creatures inhabit a magical world of wonder to get lost in. All of the Duvet and Quilted Blanket Sets are presented in a beautiful organic suitcase and are accompanied by a set of Character Cards that provide fascinating facts about the wildlife on one side of the duvet. On the reverse side of the cards, storytelling cues introduce children to the creatures they become at night. The heirloom bedding has been hand drawn and designed to last so that it can be passed on from one generation to the next, along with the stories it fosters. At the heart of Forivor is a desire to approach sustainability with our hearts and imaginations with an insistence on the best quality. Their bedding is made to the highest ethical standards in India, supporting small landowners to grow rain-fed cotton without the use of toxic pesticides. It is printed, cut and sewn by people paid a fair wage to ensure a sustainable livelihood for themselves and their families.